The Canadian War Museum has opened up a new exhibit in the Royal Canadian Legion Hall of Honour showcasing the six Victoria Crosses awarded to Canadian soldiers for the Battle of Hill 70 during World War I. Hill 70 is often referred to as the “forgotten battle” as it falls between the major battles at Vimy Ridge and Passchendaele but it is every bit as important, arguably more so, than those battles. Notwithstanding, it was a battle fought by the Canadian Corps, this time led by a Canadian commander in Lieutenant-General Arthur Currie (unlike Vimy Ridge which had British commanders), with objectives selected by Canadian command (against the initial objectives selected by High Command). Hill 70 was taken in hours on 15th August, 1917, and held against 21 German counter-attacks, providing the allies with the high ground in front of Lens, France, as well as providing a much needed diversion at Passchendaele causing the Germans to divert their troops from that battle. Over the period of 15th -25th August, Canadian casualties ran to over 9,000 with almost 1,900 killed, while the Germans are estimated to have lost 25,000. The Museum already had four of these medal sets, the last acquired through the generosity of Mr. Cyril Woods and the Hill 70 Memorial Project with a fifth set on loan from the Governor General Foot Guards Regimental Museum (Learmonth) and O’Rourke’s on loan from the British Columbia Regiment (DCO) Museum Society. 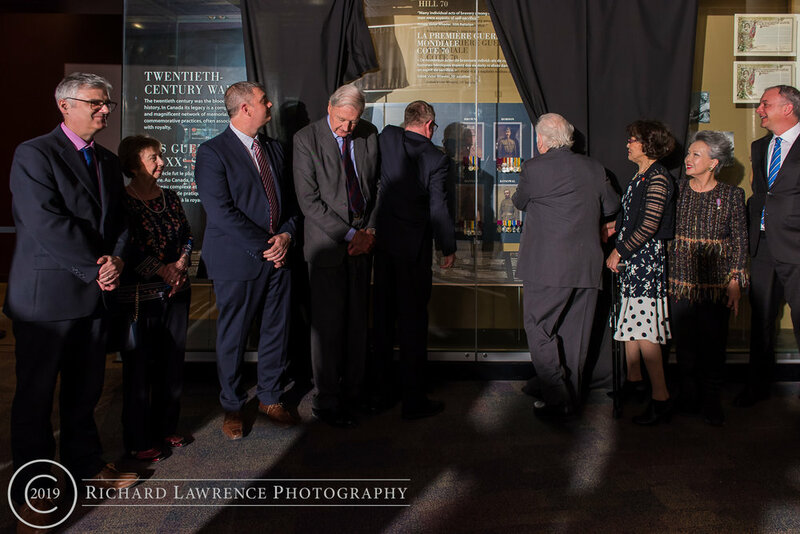 Speakers at the exhibit opening included Col. (ret’d) Mark Hutchings, chair of the Hill 70 Memorial Project, and His Grace, James Hamilton, 5th Duke of Abercorn, who had come all the way from Ireland for the opening because of a connection to his country of two of the VC recipients. One of the six was from Ontario, one from Quebec, and the four others were immigrants to Canada. 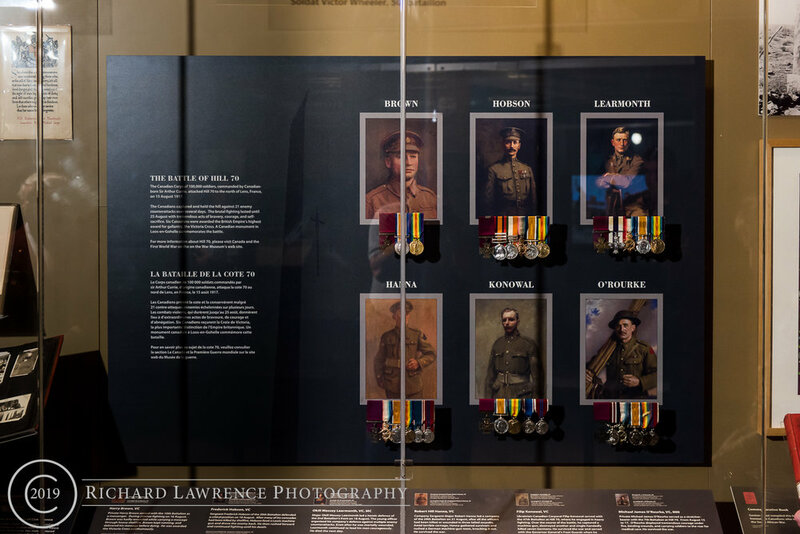 If at the Canadian War Museum, take a moment to browse through the RCL Hall of Honour and view the stories of these extraordinary men.